Improving Sales Performance: Are you THAT kind of coach? They say if a tree falls in the forest and no one is around to hear it, it doesn’t really make a sound. That’s because if something is truly unobserved, it leaves no effect, so it is essentially like it never happened. So, if sales talent goes unnoticed or undeveloped by a sales manager, does it really happen? 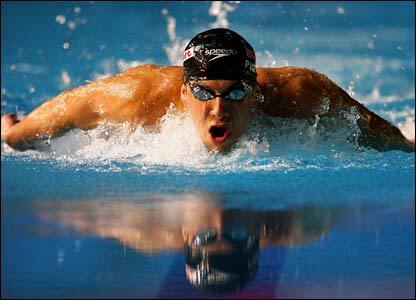 You know who Michael Phelps is. You have heard about the 14 Olympic gold medals he has won over his career (the most by any Olympian) and the 37 world records he holds. You probably even know about his unusually large flipper-like feet and his 6 foot wingspan which gives him built-in propulsion paddles. But do you know the story of his coach? When Michael’s mother introduced him to swimming at the age of 7, as a way to help him use up some of his hyperactive energy, he immediately knew that he had found his sport. He swam often and saw rapid improvement as did many other kids his age at the North Baltimore Aquatic Center - and he loved it. That’s just a bit of background though, because the real story didn’t begin until he was 11 and one of the swimming coaches at the aquatic center, Bob Bowman, first noticed him. This was before Michael’s feet had grown and before his wingspan became obvious to others. But Coach Bowman spotted talent in this kid anyway and he dreamed of developing it. With his mother’s approval, Michael and Coach Bowman began to build the coaching plan. This was not a short-term coaching plan to take them to the following summer, or even to the one after that. Coach Bowman and his new pupil began to develop an 8-year plan that would take them to the 2004 Athens Summer Olympic Games. I know I won’t be ruining the story for you by telling you that the plan worked. But just think. If Michael’s talent had gone unnoticed, like that tree in the forest, would we still have memories of him beaming in Beijing with 8 gold medals hanging around his neck? We can’t say for certain, but the chances of that seem highly unlikely. Luckily he didn’t go unnoticed. In an aquatic center filled with skinny, awkward adolescents, a coach recognized Michael’s talents and made a commitment to coach him. He spent hours observing Michael and making notes on his performance. He gave him continual feedback and encouragement; he cheered for him when he was successful and he shared unending faith in him as he took risks to improve. Coach Bowman kept Michael on task, made him swim even when he was tired, helped him figure out his best strokes so he could focus on those, and he gave him much more than training – he gave him his time. And all of this without any guarantees that the plan would work. Are you that kind of sales coach? Are you taking the time to spot talent in a sea of bodies and dedicate yourself to coaching that talent? Make the commitment. Spend time observing and coaching your sellers, continually reflecting back on that long-term plan. If you aren't sure where to start coming up with a plan to improve sales performance, we are happy to help!